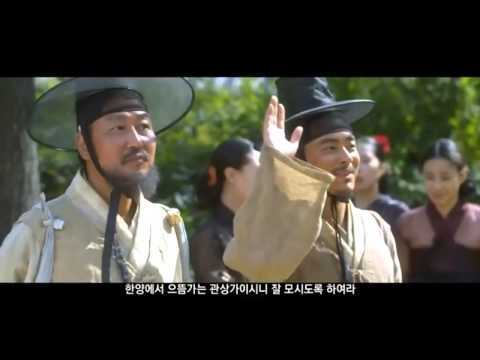 Set during the seizure of the throne by Sejo of Joseon in the year 1455, the movie follows the life of Nae-Kyung. Nae-Kyung, the son of a ruined noble family, goes all around Joseon and studies physiognomy. He is able to assess the personality, mental state and habits of a person by looking at face. He was living in seclusion when he was offered a lucrative partnership by Yeon-Hong, a gaesang. Nae-Kyung accepts the proposal to read the faces of Yeon-Hong’s guests only to get involved in a murder case. With his face reading skills, Nae-Kyung successfully identifies the murderer and his skills are soon acknowledged by King Moonjong who orders him to identify the potential traitors who threaten his reign. However after the unexpected death of Moonjong, Nae-Kyung is courted by Grand Prince Sooyang who yearns to become King himself by killing the young successor Danjong. Nae-Kyung decides to keep his loyalty to the late King and help Kim Jong-Seo protect the young King which forces him into the biggest power struggle in the history of the Joseon dynasty.